Radolfzell, Vienna, Prague – A wave of hydropower development fuelled by European public funding and EU companies is endangering pristine river environments in the Balkans, finds a new study by CEE Bankwatch Network released today. The extensive analysis  shows that multilateral development banks  are playing a key role. 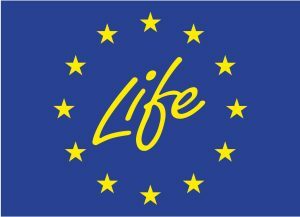 The European Bank for Reconstruction and Development (EBRD), the European Investment Bank (EIB), and the World Bank’s International Finance Corporation (IFC) have extended loans totalling EUR 818 million to no less than 75 hydropower projects, including 30 directly affecting protected areas like national parks, Natura 2000 sites, and Ramsar sites. 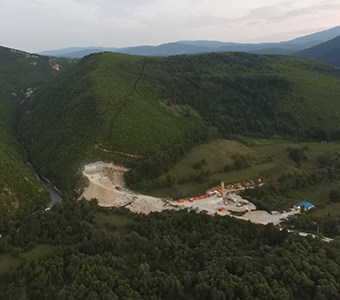 Most notably, the controversial Boskov Most project in Macedonia’s Mavrovo National Park has secured an EBRD loan of EUR 65 million, despite the threat it poses to the only remaining habitat of the critically endangered Balkan lynx. “Our analysis clearly shows that especially for the EBRD, but also the World Bank Group, financing hydropower projects in protected areas is the norm, not an exception. They need to finally start taking their internal safeguard policies seriously”, says Pippa Gallop, Bankwatch’s Research Co-ordinator and co-author of the study. ”The EBRD Board of Directors will be meeting in London on 16 December, and we expect them to discuss how to stop the bank from bending its own policies,” added Klara Sikorova, Bankwatch’s Senior Researcher and study co-author. Of other public banks and funds, most active has been Germany’s KfW and its subsidiary Deutsche Investitions- und Entwicklungsgesellschaft mbH (DEG), with 8 hydropower plants, of which 4 are in protected areas in Macedonia and in Bosnia and Herzegovina. Most projects are carried out by domestic companies, but of the projects involving foreign investment, Austria stands out: Austria’s companies are involved in more than 40 dam projects, of which at least 20 are based in protected areas: Energy Eastern Europe Hydro Power GmbH (co-owner: Wien Energie) is involved in no less than 27 projects, of which 11 are in protected areas. Another Austrian company, the Kelag group, is involved in 13 projects, of which 9 are in protected areas, including the Medna Sana plant in Bosnia and Herzegovina, which is strongly opposed by local people. “It’s unacceptable that companies from Austria or other western countries are building hydropower plants in the Balkans, that they would not consider in their home countries”, says Ulrich Eichelmann of Riverwatch. “The good news is that the majority of the projects we identified are still on the drawing board and we will try to save as many of these beautiful Balkan rivers as possible,” says Gabriel Schwaderer, Executive Director of the EuroNatur Foundation. ‘Financing sources’ include loans, guarantees, grants for project preparation/advisory services.